Reviews of new editions of several Gertrude Stein volumes, notices of recent scholarship and exhibition catalogs, and discussions of Stein’s life and work have recently appeared in numerous magazines, journals, and blogs (examples are linked below). A detailed description of the Stein and Toklas Archive can be found here: Guide to the Gertrude Stein and Alice B. Toklas Papers: http://hdl.handle.net/10079/fa/beinecke.stein. Materials from the archive, including manuscripts and documents related to the new editions of Stanzas in Meditation and Ida: A Novel, can be viewed online: Stein and Toklas Papers Image Guide: http://beinecke.library.yale.edu/digitallibrary/stein.html). An exhibition of materials in the Stein and Toklas Papers, “Descriptions of Literature: Texts and Contexts in the Gertrude Stein and Alice B. Toklas Papers,” will be on view at the Beinecke Library from October 8 to December 14. About the new Yale UP editions of Gertrude Stein texts: The Many Lives of Gertrude Stein: http://yalebooks.wordpress.com/2011/06/03/the-many-lives-of-gertrude-stein/; To Do, A Book of Alphabets and Birthdays: http://yalepress.yale.edu/book.asp?isbn=9780300170979; Ida, A Novel: http://yalepress.yale.edu/book.asp?isbn=9780300169768; Stanzas in Meditation: http://yalepress.yale.edu/book.asp?isbn=9780300153095. 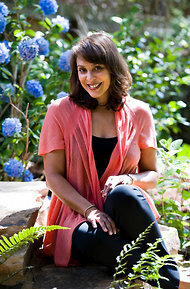 Congratulations to 2009 James Weldon Johnson Memorial Fellow Natasha Trethewey, the next Poet Laureate of the United States. This paper was born out of an independent study conducted under Richard Deming about modernist female poets whose archives we have at the Beinecke. I looked at the archives of Gertrude Stein and H.D., both American women writers who lived in Europe for most of their careers. The two writers are radically different in terms of the themes that they explored and the styles of their writing, which was an aspect of their work that I studied through my final paper. After spending a semester reading Stein and H.D.’s work in published and archival form, I decided to focus on their autobiographical (or semi-autobiographical) writing for the sake of comparing their two literary styles and thematic preoccupations. For H.D., I considered how her work was a process of “translation,” how her work with Sigmund Freud, which she discusses in Tribute to Freud, and her sense of her own “giftedness,” which she writes about in The Gift, inform her writing technique and her drafting proclivities. By reading the various drafts of The Gift and the notebook in which she wrote Writing on the Wall (the first part of Tribute to Freud), I wrote about H.D’s characterization of herself. as a channeler of stories and images that came from realms beyond her and how this affected her writing process and the form that her archive takes. For Gertrude Stein, I thought about the word “making” in light of her epic novel/memoir The Making of Americans and how this word (like H.D.’s “translating”) informs her writing and writing process. As with H.D., I looked at Stein’s various drafts and notes for The Making of Americans and her writing about The Making of Americans in order to make sense of the process behind these works and what this process signaled about Stein’s thematic and stylistic interests. By comparing the work, archives, and writing processes of these two writers, who superficially have much in common, I drew attention to the ways in which writers ask to be read differently, as individuals with their own unique processes and preoccupations, distinct from movements or time periods.